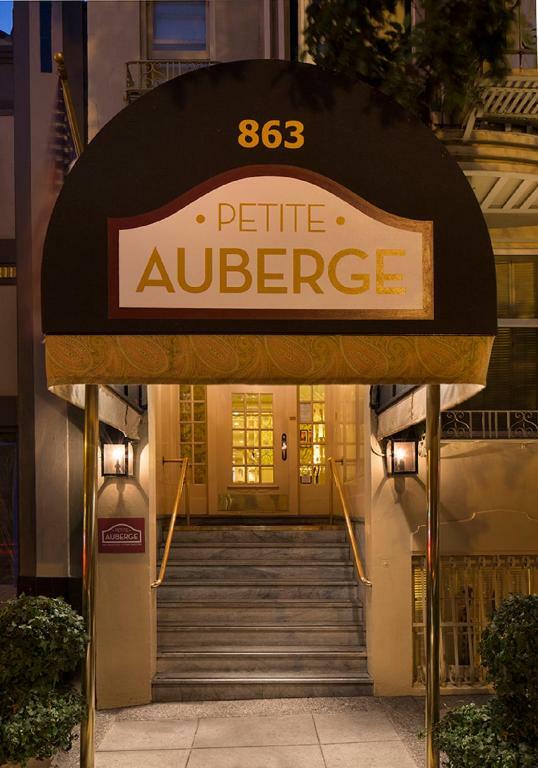 Complimentary evening wine and hors d'oeuvres and a location near Union Square are reasons to love the non-smoking Petit Auberge. Sporting French Country decor this five-story boutique hotel has 26 accommodations with comfy beds and cozy fireplaces (in most rooms). Cable TV is available throughout as is Wi-Fi for an additional fee. Non-smoking options are available. Enjoy a spot of afternoon tea and cookies also served on the house. Free bottled waters and sodas are available during the day. In the evening retire to the lobby for complimentary wine and appetizers and mingling with other guests. Valet parking is available on-site for a fee. Located on Bush Street near Union Square the shopping hub of the city Petit Auberge is 15 miles north of San Francisco International Airport and 21 miles northwest of Oakland International Airport. The BART transit system's Powell Street Station is a mere 10-minute walk away from the hotel. Walk 10 minutes to the corner of Stockton and Sutter streets to hop one of the famous cable cars north to Fisherman's Wharf. our guests say the Petite Auberge's French Country decor has a certain je ne sais quoi and appreciate the great value created by free evening wine receptions.